Norway Lake Village, on the southwestern side of Lake Pennesseewassee in the vicinity of the Harrison and Ashton Roads, was once a very busy hamlet. Possibly most noteworthy, it was the home of well-known author C.A. Stephens. The area had previously been known as Ford’s Corner and Frost’s corner, named for early settlers. 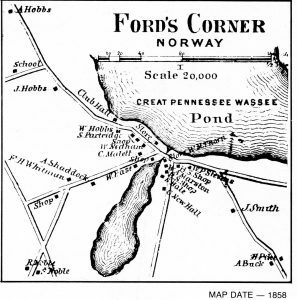 Over time, the terms “Norway Lake” and “Lake Pennesseewassee” have become synonymous. 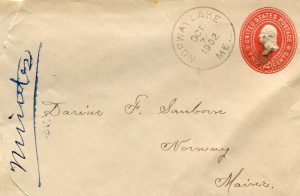 However, Norway Lake was the name given to the post office and referred to the village, not the lake, to distinguish it from the post offices in Norway and North Norway. Asa Dunham built the first structure in 1795, a small log cabin in the area behind the present Lake Store. A number of farms established by the first settlers existed between Dunham’s log cabin and Norway Center, making it one of the more populated areas of what was to become Norway. 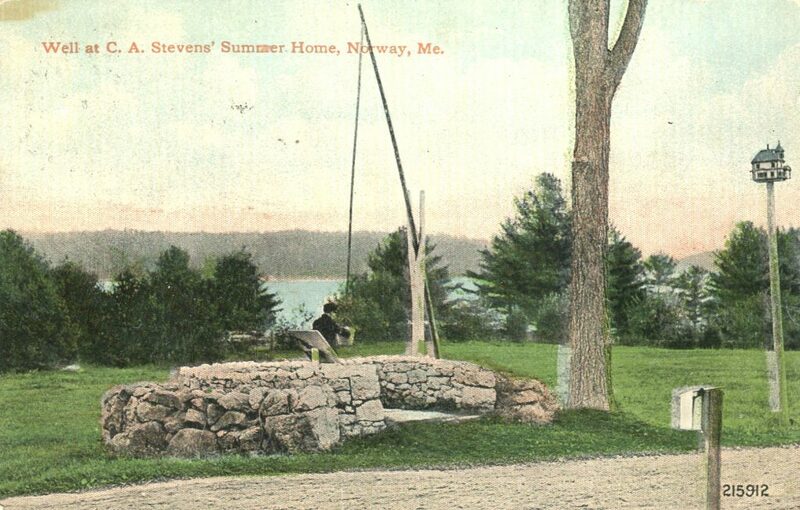 In the early 1800s there was only a footpath along the shore of the lake leading to Norway village. 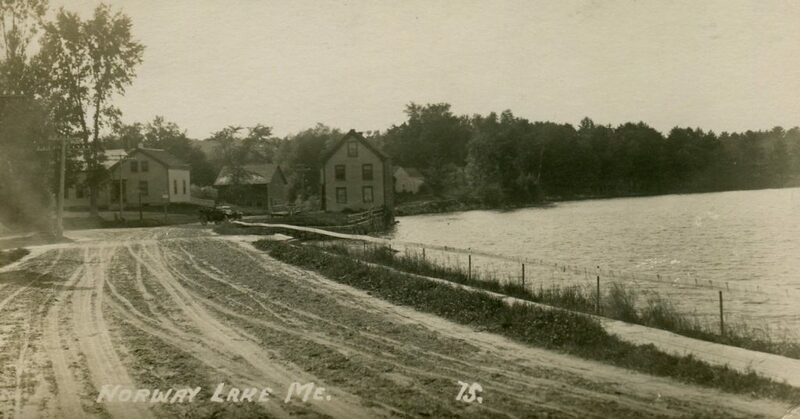 The only route passable to a farmer and his team of horses was over Pike’s Hill, but a more direct route along the lake would be beneficial to the residents of Norway Lake and Norway Center. A steep hillside with dense trees rose from the edge of the lake, so residents used hand tools and oxen teams to slowly build a road to town. It took a number of years, but when the road was completed, traffic could take this shorter route and Norway Lake village began to prosper. 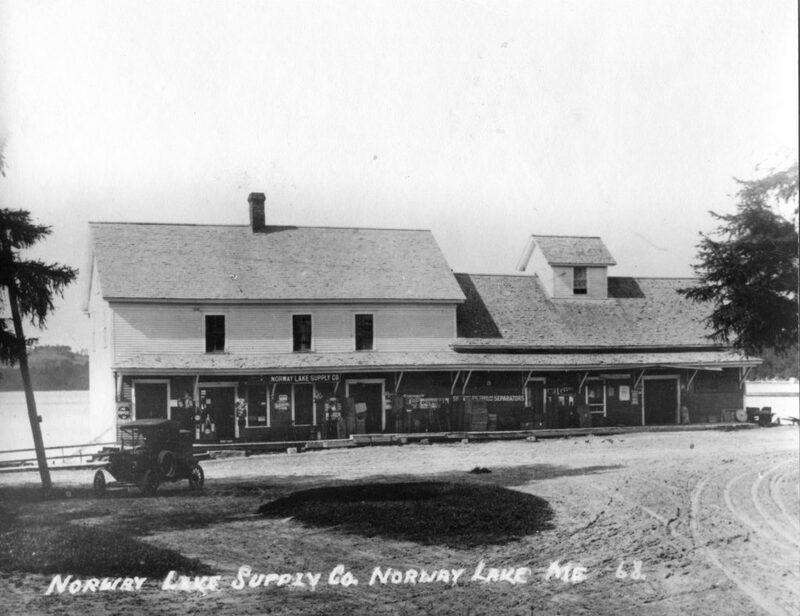 By the mid to late 19th century, Norway Lake was lively, with three stores, its own post office, a cheese factory, a corn shop, a school, a public hall and a number of residences. The school building was in use until the late 1960s and last was used for sub-primary (kindergarten) and first grade students. The little red schoolhouse building remains standing. The most spectacular building in the village was C.A. 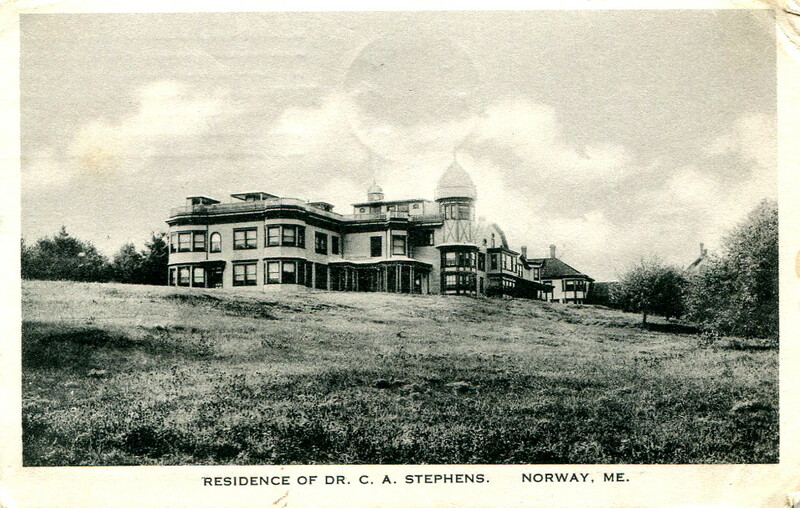 Stephens’s “Laboratory.” Stephens was a highly regarded author of adolescent adventure stories in the late 19th and early 20th centuries. He is best known for his many stories in The Youth’s Companion, a very popular periodical of the time. The rambling building was indeed used as a laboratory, as Stephens, both a medical doctor and a scientist, sought ways to extend human life. The building was razed in 1953; however, the quartz wall that surrounded the well across the road from the property is still intact, next to the entrance to Pennesseewassee Park on the Waterford Road.